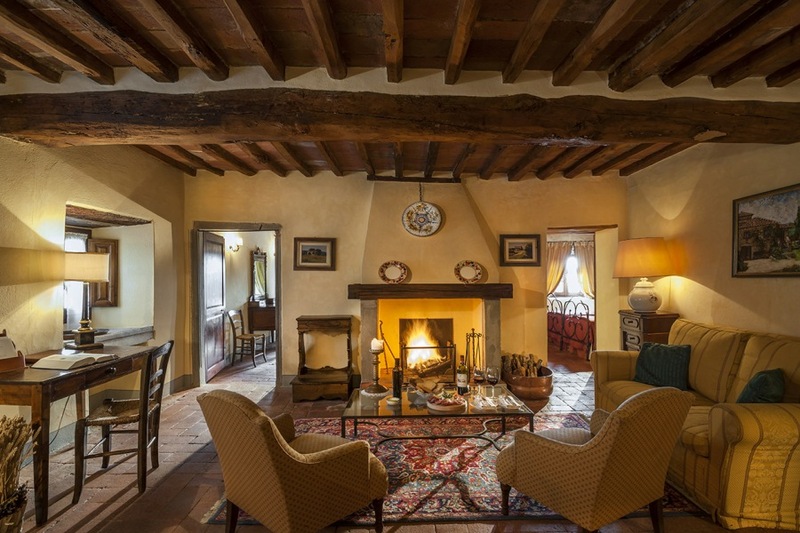 Italy has a great history and many monuments became during the years private houses or public museums, like the heritage castles now opens also for private events or private castles and historic dwellings that offers also elegant accomodation . If your dream is for a castle wedding in Italy, here you find a selection of beautiful castles along the italian peninsula. The Castle is a fortified house built in 1424 by a Florentine family on the florentine hills . They built it in order to protect their wide possessions, in order to use it as a refuge in times of insurrections and in order to have a country house where to relax. The castle is located at about 30 km south of Florence. 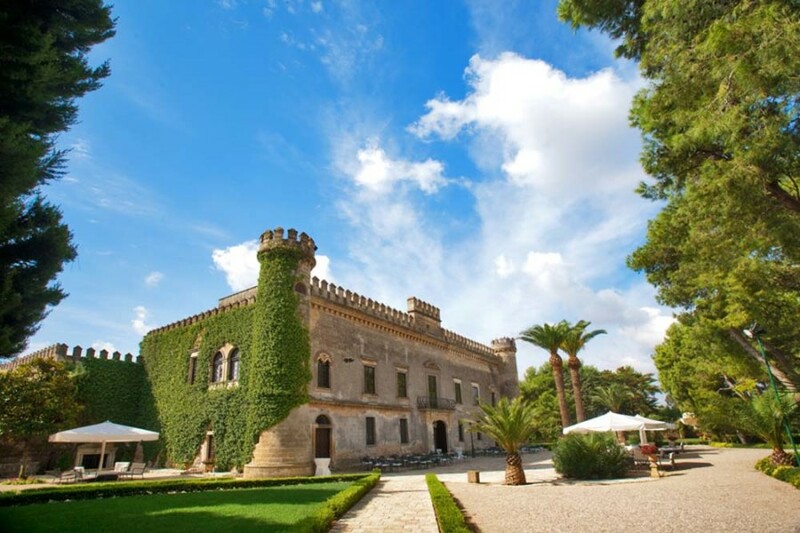 The Castle reminds us of old battles and of famous and important guests who enjoyed the marvellous landscape and the typical products of these hills such as olive oil and wine.Today the Castle is a 1 day wedding venue, where it’s also possible to have a civil ceremony with the local mayor. 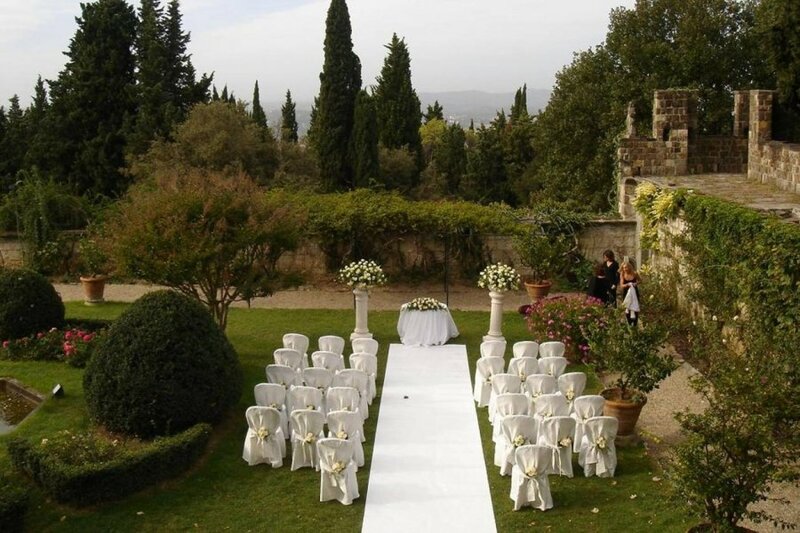 For wedding reception a catering service will be provided.Close to the castle there’s a residence that can accomodate your guests during the stay in Tuscany. The Castle family produces also good wine and olive oil, that can be tasted on the castle cellars. 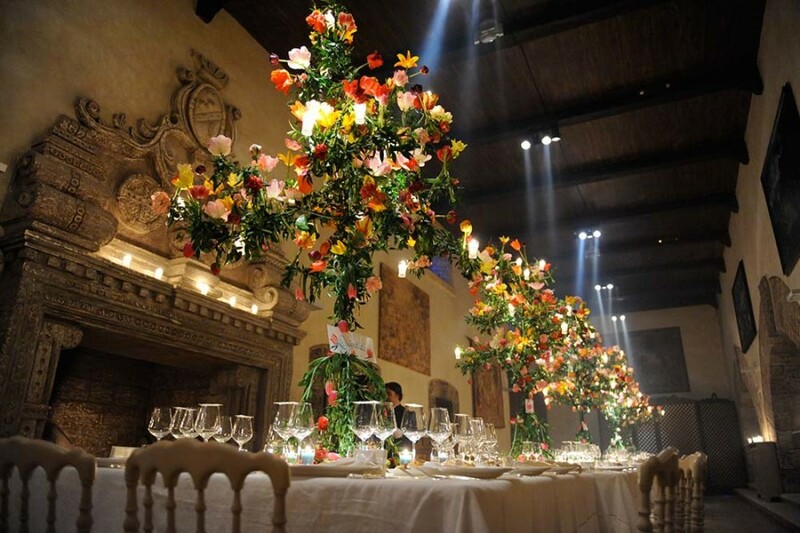 CIVIL WEDDINGS, SYMBOLIC AND NON-CATHOLIC CEREMONIES CAN BE PERFORMED IN THE CASTLE. 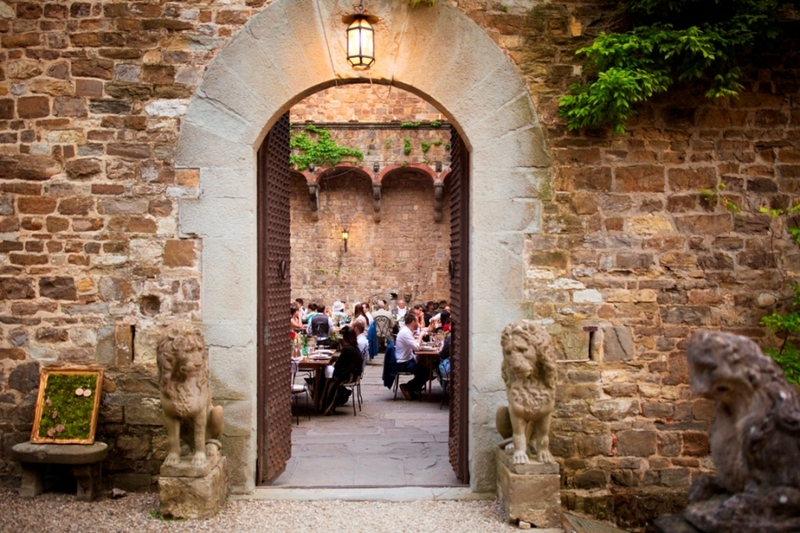 Castello di Vincigliata is one of the most romantic & beautiful venue far a few km from the centre of Florence. 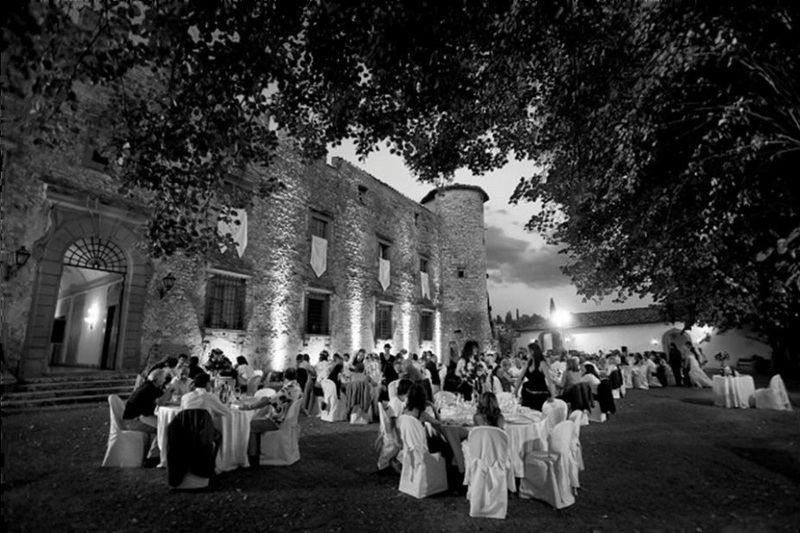 Plunged among the rolling Tuscan hills, it is the ideal place for celebrating your special day.With its breathtaking balcony and its romantic courtyard, the castle is a unique setting for an unforgettable wedding. 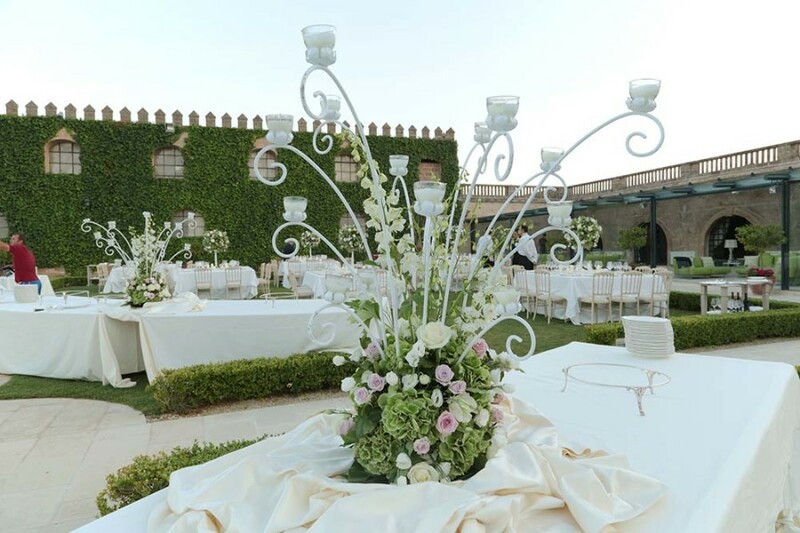 The Castle has many rooms that can be used as desired depending on the logistics of the event: the cozy and romantic courtyard gardens will create the atmosphere perfect for the warm season. The interior rooms furnished with antiques and paintings of the ‘500 and the winter garden, provide an excellent alternative in case of bad weather or during the colder season. SYMBOLIC AND NON-CATHOLIC CEREMONIES ( also protestant-civil weddings) CAN BE PERFORMED IN THE CASTLE. 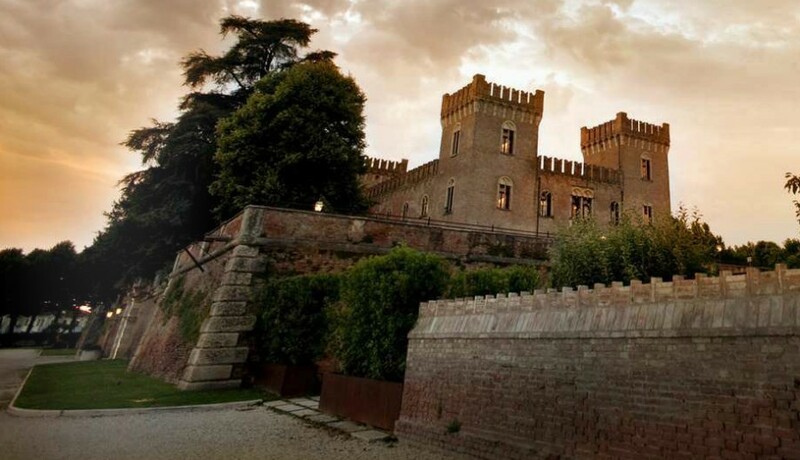 Characterized by its highly privileged geographical position, completely surrounded by the sea and just a few kilometers from Rome and from Fiumicino International airport, the Castello was, and still is, the perfect place to celebrate special occasions with friends and family. gentle breeze and the scent of the sea air.Each of the internal and external spaces seems purpose-built for reception and celebrations….The park, the internal court yard, the ancient gazebo, the seafront balconies and the beautiful halls decorated with refined simplicity are fascinating and romantic places in which to experience the magic of a special day with your loves ones. CATHOLIC CEREMONIES are performed in the Church of the castle. On the castle courtyard it’s possible to have a civil or symbolic ceremony. 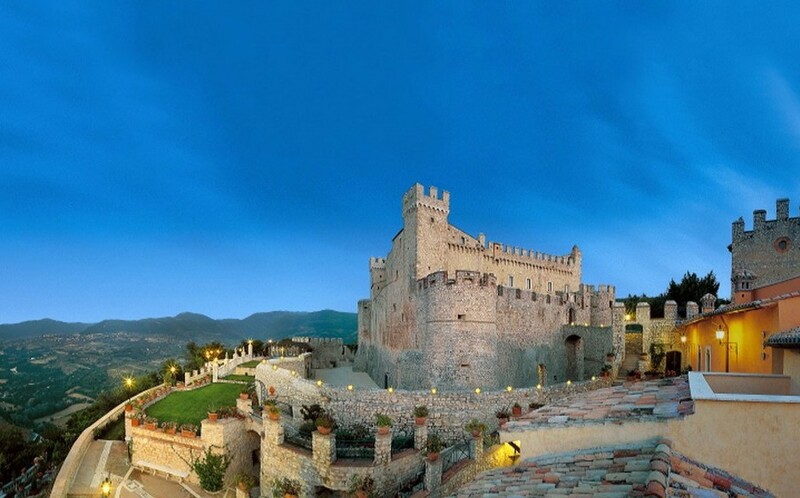 Majestic fortification of the sixteenth century, full of charm and spent wonders, the Castello is a structure that lends itself elegantly to the receptions, conventions, gala dinners and all kinds of events . The park, with its lush vegetation and the colorful flowers that caress the air are a perfect backdrop for extraordinary photos. Like the salons within (all air conditioned) that show the living stone centuries, enhanced by the furnishings, the rich carpets, the warm lights and impressive fireplace. The receptions are arranged with care to the smallest details: a joy for those who love beautiful and good food. 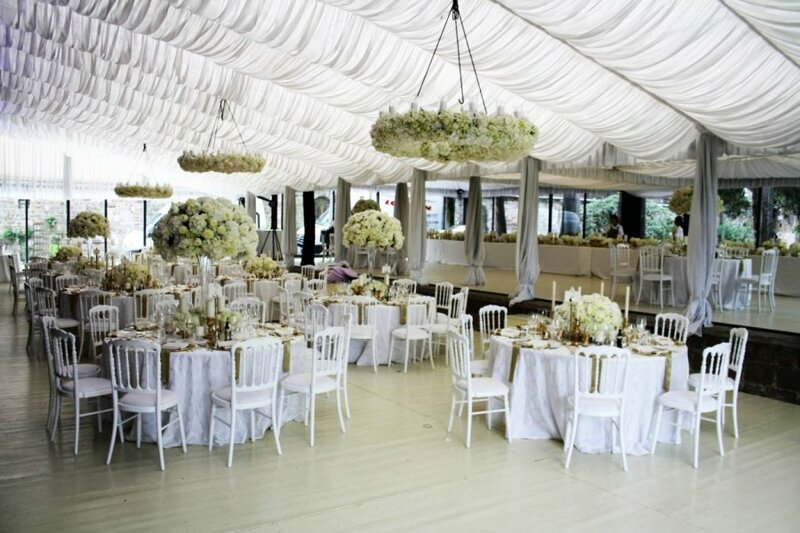 Inside it’s possible to arrange civil or blessing ceremonies. Few km from the castle 2 beautiful resorts can accomodate your guests. 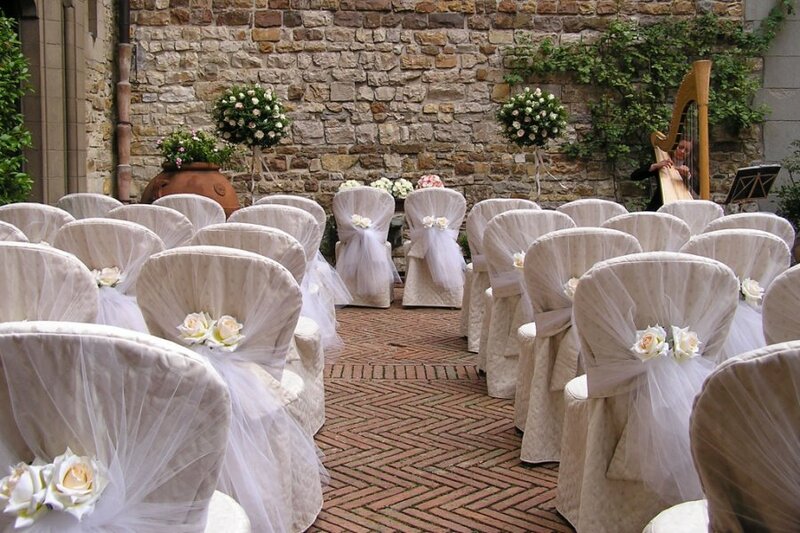 CIVIL WEDDINGS, SYMBOLIC AND NON-CATHOLIC CEREMONIES CAN BE PERFORMED IN THE CASTLE. 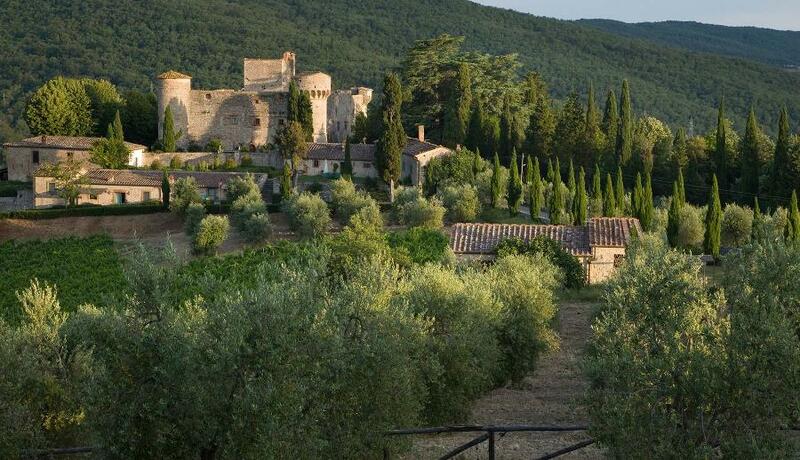 A medieval castle immersed in the typicla tuscan landscape in the Chiantishire, surrounded by vineyards and olive trees. 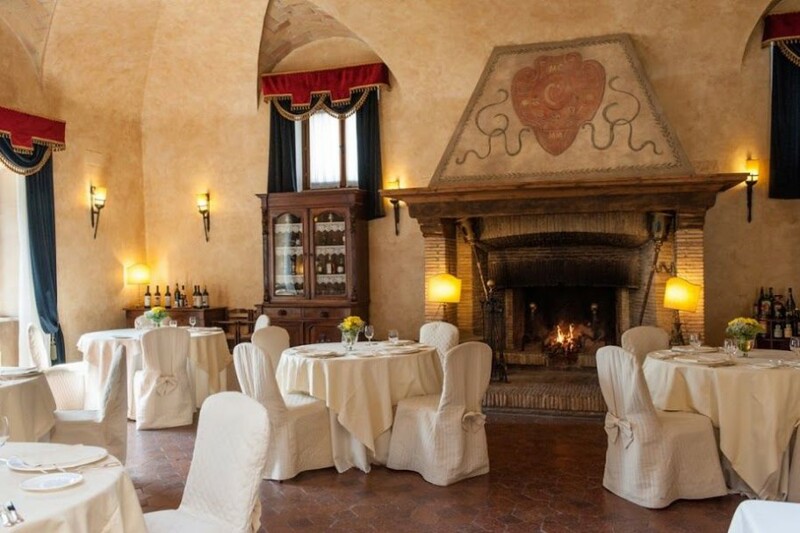 The old castle can be rented for only the wedding party or you can accomodate the guests in the castle rooms or the apartments/rooms of the castle borgo. SYMBOLIC AND PROTESTANT CEREMONIES AT THE CASTLE. VERY CLOSE ROMAN CATHOLIC WEDDINGS IN A BEAUTIFUL CHURCH. 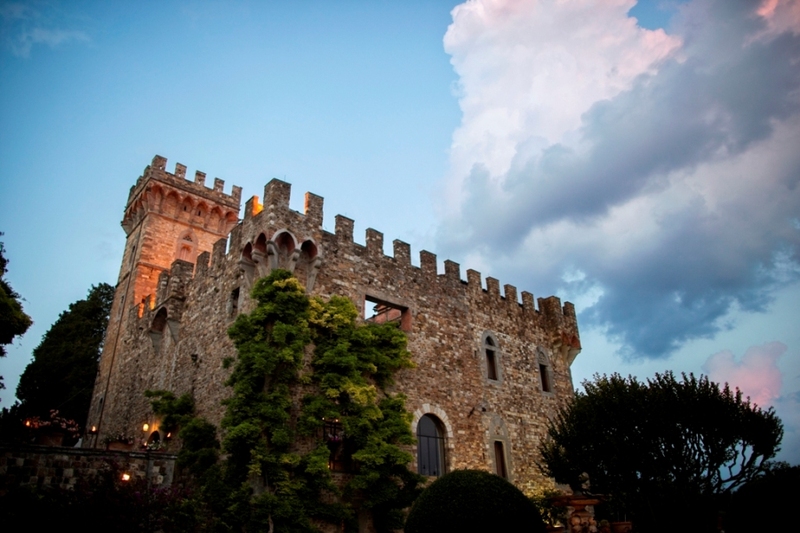 Overlooking the bay of Portofino, the castle is a charming wedding venue immersed in the typical mediterranean landscape. 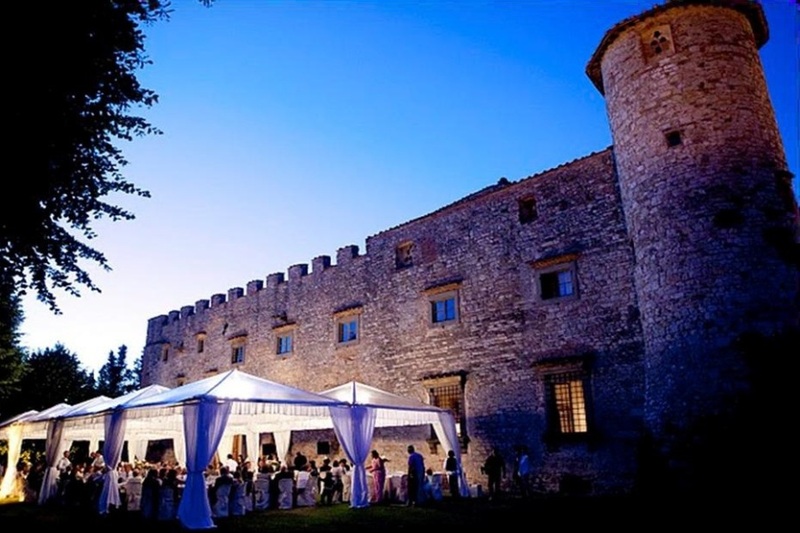 The castle is a 1500 fortess, renovated during the years , that stands on a cliff.top overlooking a great view of the sea .Surrounded by a big park, that gives you different area and panoramic terraces where arranging the aperitif, the dinner or the wedding cake cutting. Indoor there are large and elegant rooms that are suitable for every period of the year. On the castle a suite apartment can accomodate the bridal party for the wedding night or for few nights. CATHOLIC CEREMONIES IN THE CHURCH VERY CLOSE TO THE CASTLE AND BLESSING-PROTESTANT CEREMONIES IN THE CASTLE. 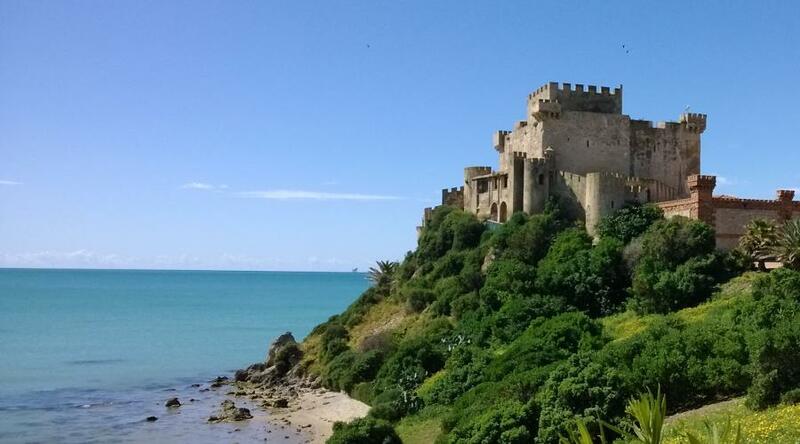 The castle is one of the Sicilian historic homes, present on the south coast, with more charm: the name comes from the ancient central tower that, in addition to being the original body, was used for the breeding of falcons hunting. It is located direct on the sea with a private beach. It offers a beautiful park with a natural swimming pool and private villa and apartment that can be rented to accomodate the guests. The castle is rented for private events and offer different area, including a panoramic terrace with sea view. It’s also possible to organize a ceremony on the beach. SYMBOLIC AND NON-CATHOLIC CEREMONIES CAN BE PERFORMED IN THE CASTLE. A charming atmosphere in a romantic context full of history and tradition, this is the special location of this castle: Rome, the Eternal City. The Castle offers 3 beautiful rooms for wedding reception, 2 old elegant halls and 1 modern marquee, the Chapel, located just next to the Castle, is at the disposal of the newly-married couple, to celebrate the service. The cloister is available for blessing ceremonies and religious ceremonies. 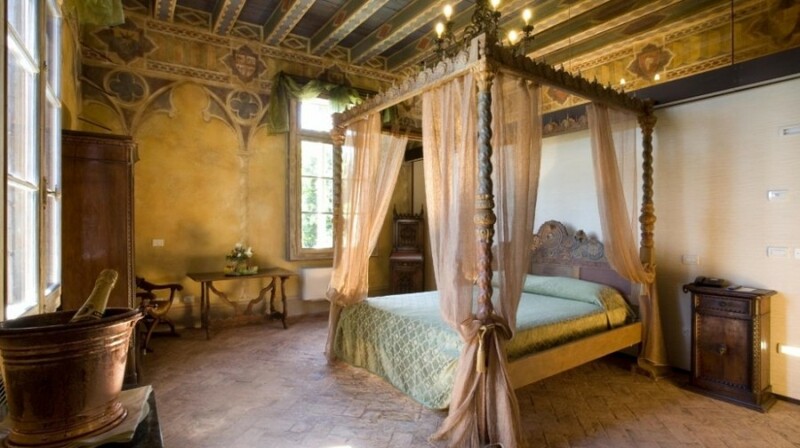 The castle offers also 23 rooms, so it can be rented as exclusive use for a week-end party. CATHOLIC , PROTESTANT CIVIL AND BLESSING CEREMONY CAN BE CELEBRATED IN THE CASTLE.